Hello everybody, hope all of you are doing great and enjoying the wonderful weather spring is bringing. Personally, I like the hotter seasons more than the colder seasons, so I really enjoy springtime. Don't get me wrong, I love skiing as well. I guess it's sort of like trying to decide which movie is better: Return of the Jedi or Empire Strikes Back. I hope you have been practicing the guitar diligently, and that you are having fun playing everything to your friends and family. If you're looking for a few more songs to learn, have a look at what other students have been learning last month below. 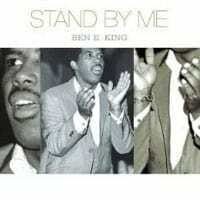 Stand By Me is a great song for learning barre chords. It uses a popular chord progression which I discuss in the lesson, and is slow paced, which makes it perfect for beginners. When someone asks me which song they should practice to learn and refine their barre chord holding skills, this is where I point them to. This classic Beatles song is one of my all time favorite songs ever, I love the fact that it made it to the Top 5 list this month. If you are looking for a way to advance your fingerpicking skills, look no further. 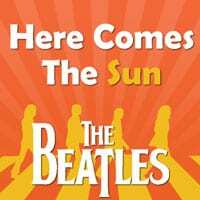 Here Comes the Sun will teach you loads of techniques, and of course, you'll be learning a great song as well. 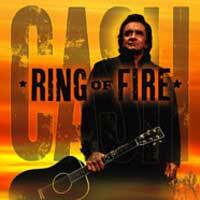 This great Johnny Cash song will teach you basic chords and strumming, as well as the popular I-IV-V chord progression. As such, it's basically mandatory for all guitarists 🙂 When you listen to this song and learn it, it's important to realize that great songs don't have to be overly complicated. 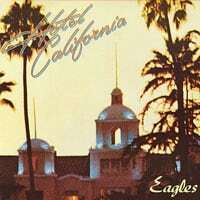 Hotel California has been a favorite of millions and millions of people for 40 years now. What a song! To play it in tune, you'll need to have a capo placed at fret 7. Remember that the tension of the capo being placed so high up the neck will cause your strings to go out of tune a bit, so make sure you tune your guitar after you put the capo on. 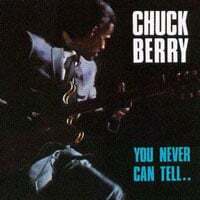 The awesome Chuck Berry passed away a few months ago. He lived a very interesting life. He was the father of rock, and influenced hoards of musicians around the world. Please read more about him on his bio page. I can safely say that You Never Can Tell is the most popular song on TheGuitarLesson.com, as it's consistently been in the Top 5 list for years now, usually at the top. 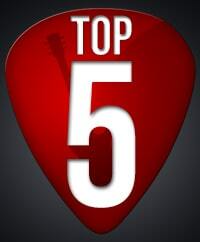 That concludes our list of the most popular video guitar lessons for April, I hope you found something that gets you excited about picking up your guitar after reading this post 🙂 I'll see you in one of the lessons!